Product technical bulletins offer insight and recommended procedures for laboratory equipment usage. 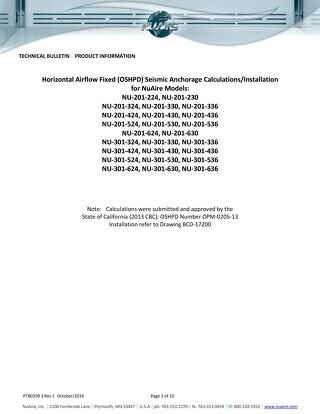 Horizontal Laminar Airflow Workstation (LAFW) Fixed (OSHPD) seismic anchorage calculations/installation instructions. 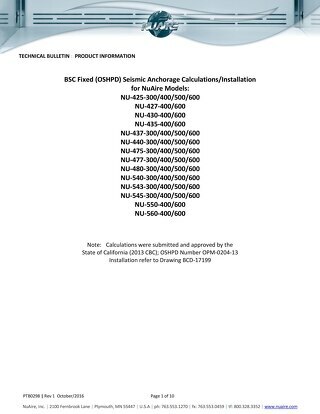 Seismic anchorage calculations and installation instructions for fixed NuAire Biosafety cabinets.